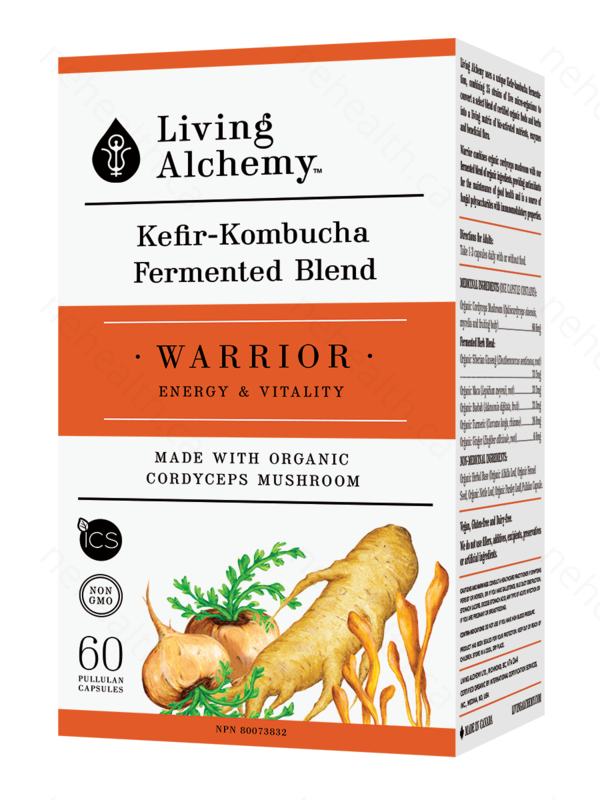 Warrior combines organic cordyceps mushroom with our fermented blend of organic ingredients, providing antioxidants for the maintenance of good health and is a source of fungal polysaccharides with immunomodulatory properties. 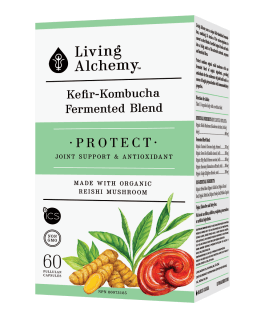 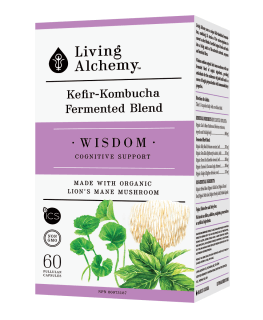 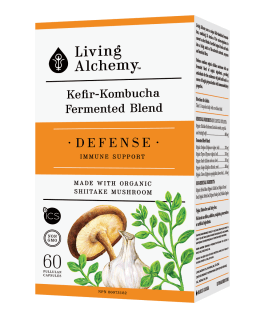 Living Alchemy uses a unique Kefir-kombucha fermentation, combining 35 strains of live micro-organisms to convert a select blend of certified organic foods and hers into a living matrix of bio-activated nutrients, enzymes and beneficial flora. 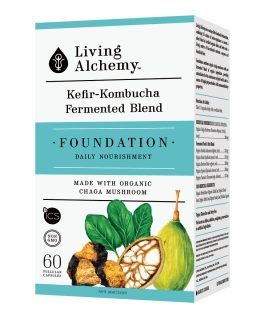 We do not use fillers, additives, excipients, preservatives or artificial ingredients. 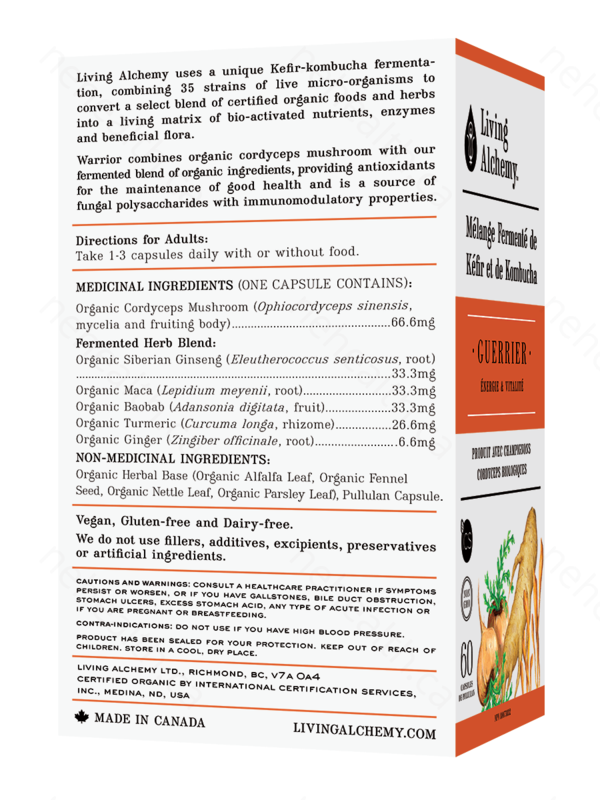 Seed, Organic Nettle Leaf, Organic Parsley Leaf), Pullulan Capsule. 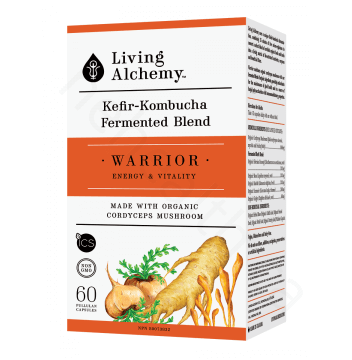 Take 1-3 capsules daily with or without food.